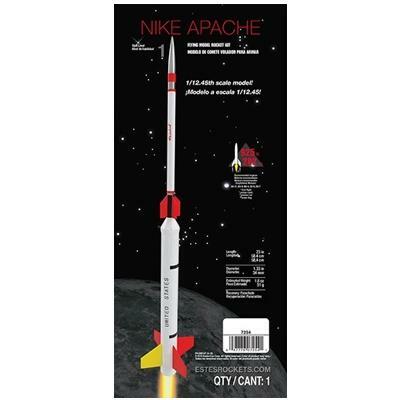 1/12.45th scale version of the Nike Apache sounding rocket. 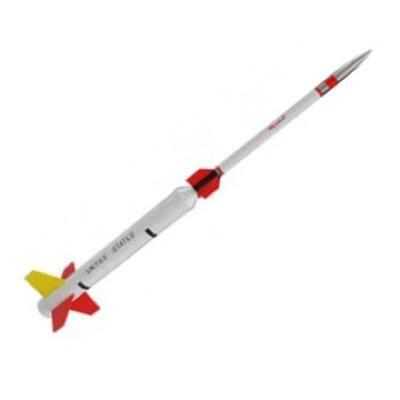 Another re-introduced scale Estes kit. 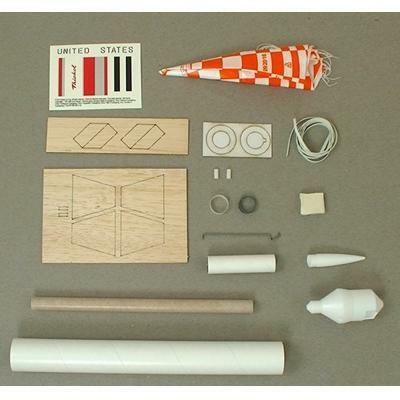 While some "scale" kits are quite the challenge to build, the Nike Apache is not, it's a skill level 1 kit featuring molded plastic parts, waterslide decals and laser-cut wood fins. Flys on 18mm engines.